The predecessor performed well with its 1280x800-pixel resolution and a 1.4 GHz quad-core CPU, but the successor needs to be better: Samsung has quadrupled the resolution. This means the tablet now offers the same resolution as the Google Nexus 10 (2560x1600 pixels). 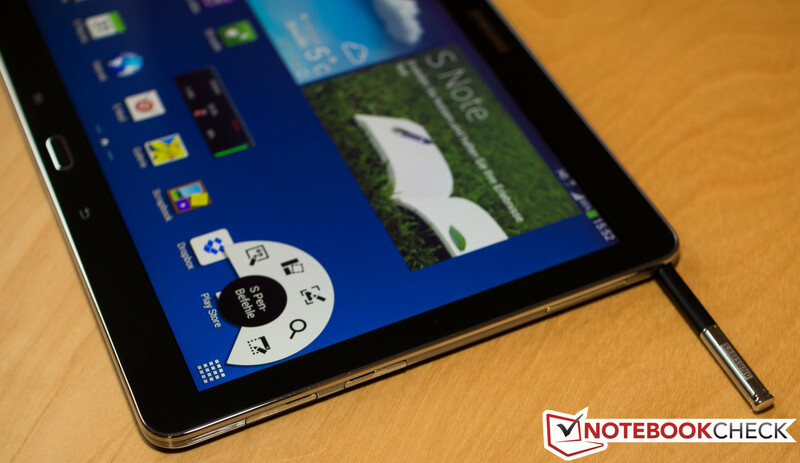 Like the "smaller brother", the Galaxy Note 3, the tablet utilizes a Qualcomm Snapdragon 800. This processor offers four cores that are all clocked at 2.26 GHz. The predecessor used a Samsung Exynos 4412 CPU. 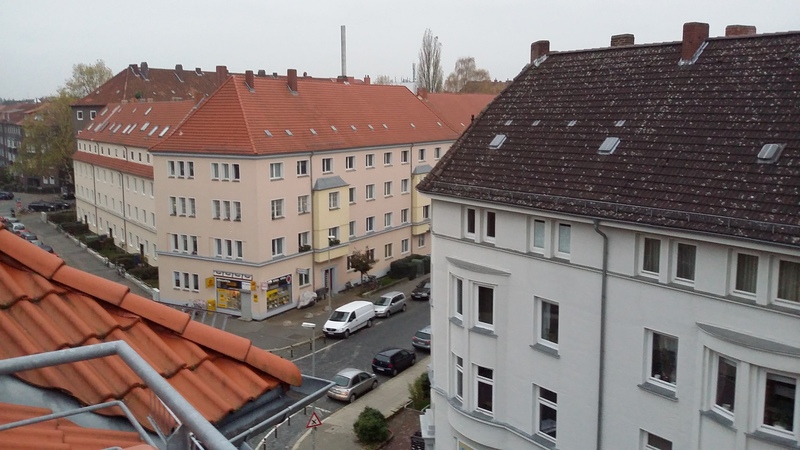 Theoretically, Samsung has an 8-core CPU named the Exynos 5420 Octa in their catalog, but apparently, it will not be found in the Note 10.1 sold on the German market. 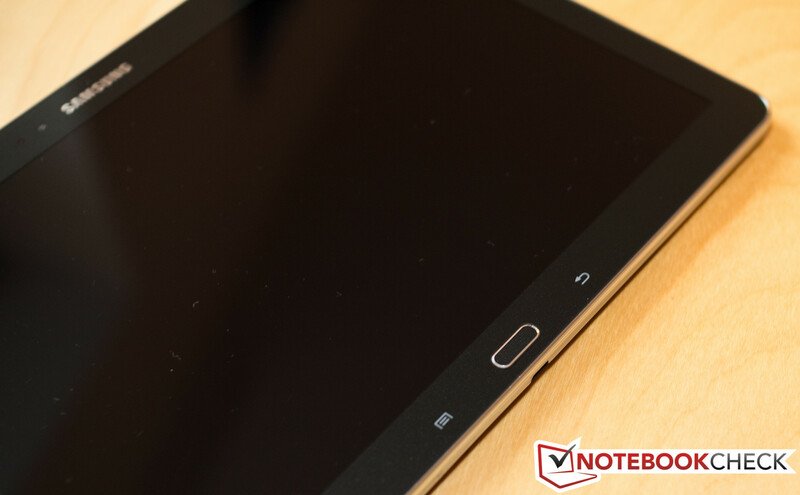 The "Note" tag in the name signifies that our test model uses a Samsung S-pen. As with most devices of the Note series, this is found recessed in the device and is thus a constant companion. Barely different from the predecessor. The case of the test model is the same as that of the Galaxy Note 3. The non-removable cover has a leather look. However, touching it reveals that it is a polycarbonate (the favorite material for Samsung). Sometimes we ask ourselves if the design division at Samsung has been entirely removed, as there is no difference between the appearance of our model and that of the rest of the Galaxy series. The case borders are silver and the panel borders are glossy black. Thankfully, we still have the physical home button. Like the Galaxy Note 3, we cannot complain about the workmanship quality. 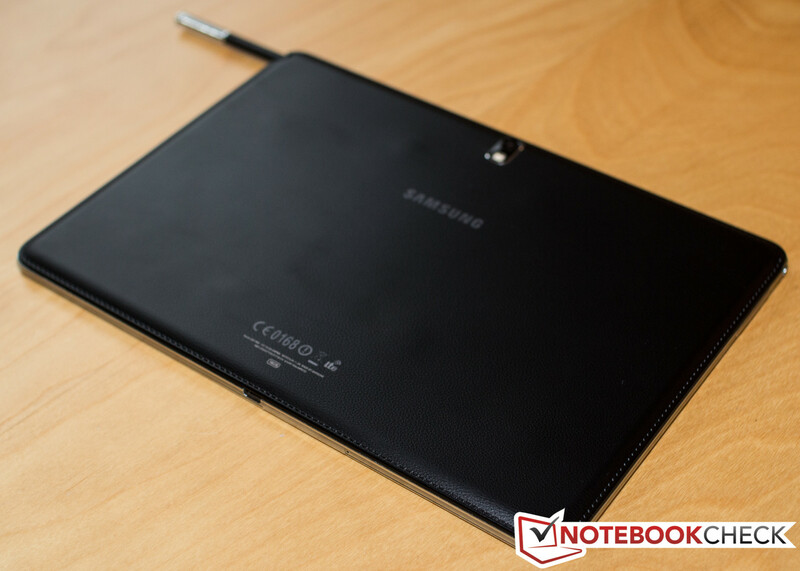 Samsung has perfected the use of its materials and thus can deliver high quality workmanship every time. The tablet measures 171.4 x 243.1 x 7.9 mm (~6.7 x 9.6 x 0.3 inches) and weighs 547 grams (~1.2 pounds). This means a reduction of 50 grams (~0.1 pounds) and the tablet has slimmed down in every area. 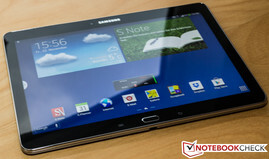 Despite being slimmer, the Galaxy Note 10.1 is still just as tough as its predecessor. Despite the similar appearance and the much later release date, our test model is significantly different from the Galaxy Note 3 in one way: the USB 3.0 port is no longer to be found. Although there is sufficient space for this port on the case, Samsung has chosen not to provide it. The left and right sides house a speaker each and above the left speaker we have the 3.5 mm audio jack. The lower right side has the slots for micro SD cards and micro SIM. Furthermore, the housing of the S-Pen can also be found on this side. 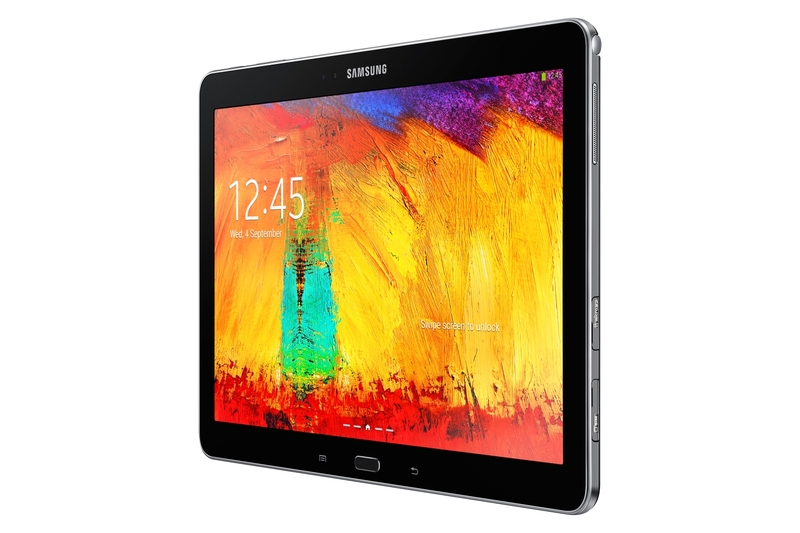 The top offers an infrared port in the middle, which allows the tablet to be used as a universal remote. To the left of this port, we have the volume rocker and the power button. As usual for tablets, the battery cannot be swapped out. Left: stereo speakers and 3.5 mm jack. The latest hardware and OS? Sadly, this is only applicable to Google products. However, Samsung is not far behind; the tablet runs on Android 4.3. 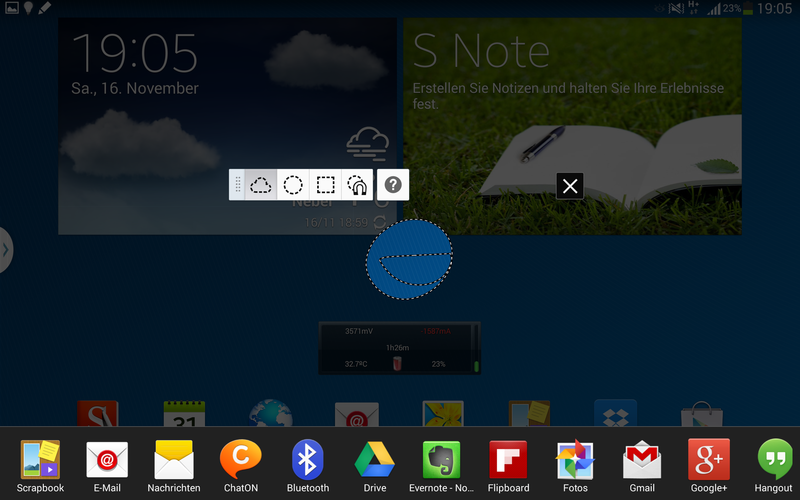 Of course, Samsung TouchWiz is used as the launcher but thanks to the extensive offerings found in the Play store, the user can pick from a plenitude of choices. The appearance of the Galaxy Note 3and Galaxy Note 10.1 2014 Edition is nigh identical. Sadly, this means that there are equally large amounts of "Bloatware" preinstalled: for example, "Samsung Hub", "Scrapbook" or "Story Album". It is virtually impossible to uninstall these apps unless you are willing to use root access. The tablet has a telephone function, which may use the built-in speakers as their quality is acceptable, but we recommend purchasing a headset. The first reason for this purchase would be the better speech quality but the second is just as important: probably nobody wants to have all their private conversations heard over the loudspeakers. Quick satellite fix and high accuracy. Everything you could wish for, you will find in the Galaxy Note 10.1. The WLAN module operates with the 802.11 a/b/g/n/ac standards. Sadly, the limiting factor is often the router as the most widespread routers are single band routers. The LTE module automatically activates as soon as you leave the range of the WLAN. The module supports the following frequencies: 800/850/900/1,800/2,100/2,600 MHz. If no LTE is available, the UMTS module is automatically turned on. This means that the Internet connection should always exist. The infrared module and Bluetooth 4.0 take care of data transfer over short distances. This allows the user to comfortably connect to any device, like for example, a wireless speaker system for playing music. DLNA allows the tablet to stream content over the network and the USB port supports MHL 2.0. 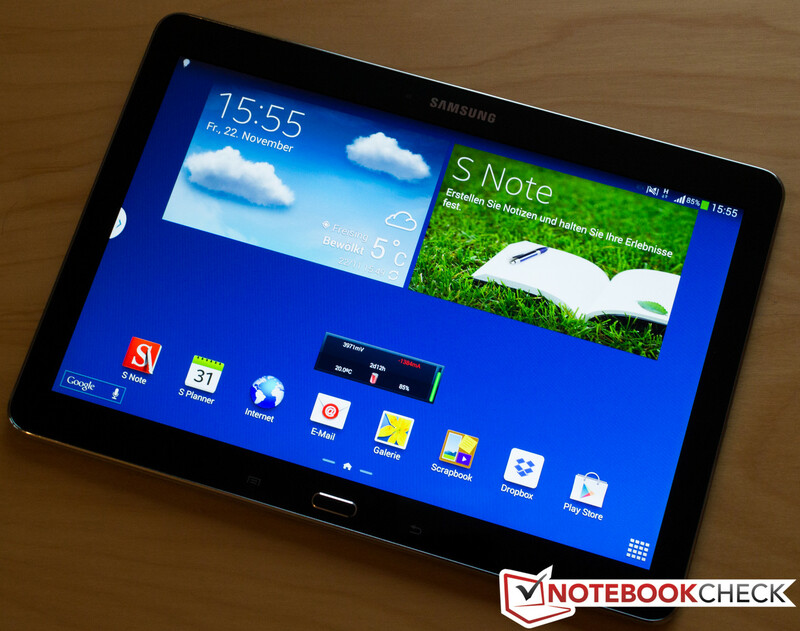 The large display means the user can comfortably navigate with the Note 10.1. Smaller devices may force a lot of squinting but thankfully, this is not the case with the test model: outdoors, the satellite fix is quick and is very accurate. This lays the foundation for a good navigation system. On none of our test drives did we note any major errors or loss in communication. The tablet is equipped with two cameras: the front has 2 MP and a CMOS sensor. The same technology is employed in the rear, main camera, but it offers a higher picture quality: 8 MP. This means the camera can be used to take some decent quality snaps. We recommend taking pictures in good lighting and Samsung has provided an LED flash with the main camera (modest range). Overall, we believe the main camera offers good quality especially as the primary use of it should be for video calls and snapshots. Pictures outdoors may be much better than indoors. Of course, the tablet cannot compete with our reference camera, which can hardly be matched by any smartphone or tablet. In poor lighting conditions, the pictures will look quite bad. The minimalistic LED flash cannot help in this case, and is only sensible when taking close-up pictures. 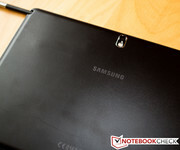 We looked for the headset in the packaging, as the Galaxy Note 10.1 can be used for calling. However, we did not find one as the packaging only includes the power adapter and replacement tips for the S-Pen (aside from the tablet). The manufacturer has clearly missed the mark in this case, as for a street price of 619 Euros (~$851), it is well within reason to expect a headset. Furthermore, the warranty of 24 months is for the tablet. The battery and the power adapter are insured for 6 months. 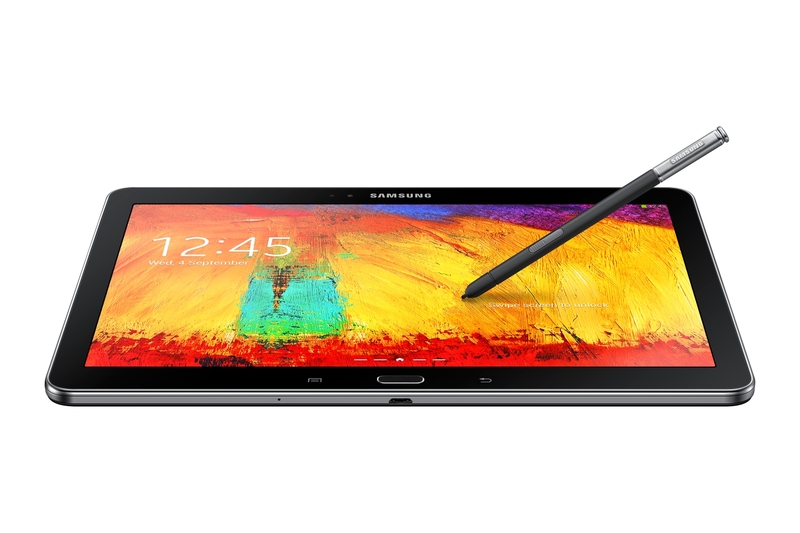 The S-Pen is a great tool for interfacing with the tablet. The main input system is not different from the competition: as usual, it is the capacitive touchscreen and the navigation keys below. The Galaxy series has these keys below the display and thus do not count as part of the panel. 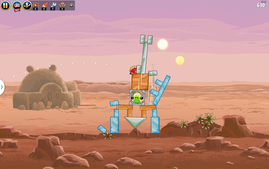 This allows the user to utilize the entire screen. 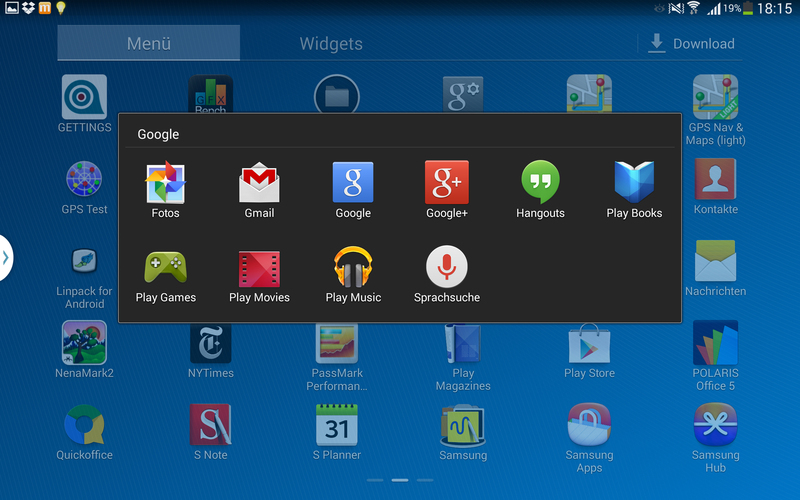 The Google devices are different as they integrate these into the screen. The special feature of the Galaxy series is the physical home button between the "Back" and "Menu" soft keys. 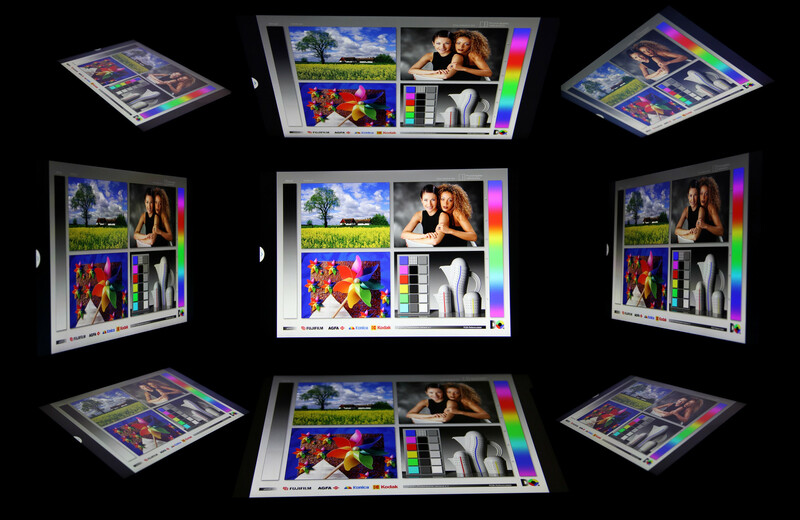 The display reacts well and without significant lags after receiving input or being turned by 90°, 180° or 270°. 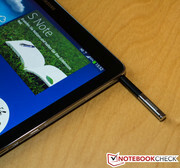 The special feature of the Note 10.1 is its S-Pen. 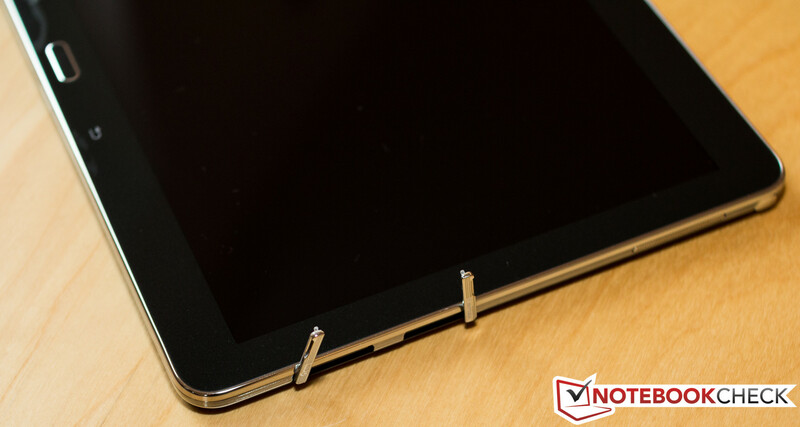 It can be found recessed on the right side of the tablet and once taken out, the tablet automatically reacts and opens the menu on the bottom edge of the screen. In contrast to predecessor versions, the S-Pen is much more comfortable to use thanks to the softer tip, which allows it to glide well on the screen. As such, the user will not be constantly fearful that s/he is scratching the panel. The pen is intuitive and is far more accurate than fingers. The S-Pen works as a writing utensil with the Galaxy Note, which will allow the user to be more efficient in their everyday tasks. The buyer will be greeted by a brilliant resolution. The WQXGA Super clear LCD is an interesting feature as it offers a brilliant resolution of 2560x1600 pixels. This results in a pixel density of almost 300 ppi for this 10.1-inch screen and thus our test model can match the Google Nexus 10. On average, we measure a brightness of 385.3 cd/m². The maximum is to be found in the middle of the panel: 414 cd/m². The brightness is quite similar to that of the Google Nexus 10 (average brightness: 389.2 cd/m²). 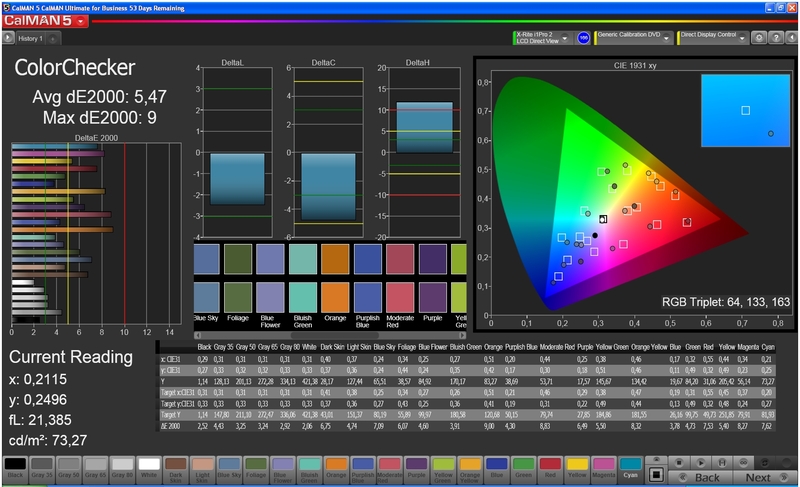 The difference in illumination is also marginal: our test model offers 88% whereas the Nexus 10 offers 87%. These are both acceptable values but they are not setting any new records. 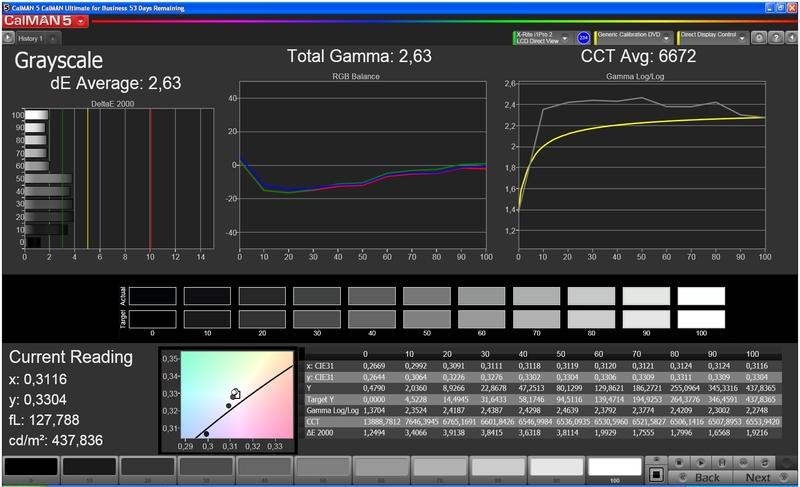 Due to the relatively high black value of our test model of 0.84 cd/m², the contrast is 493:1. 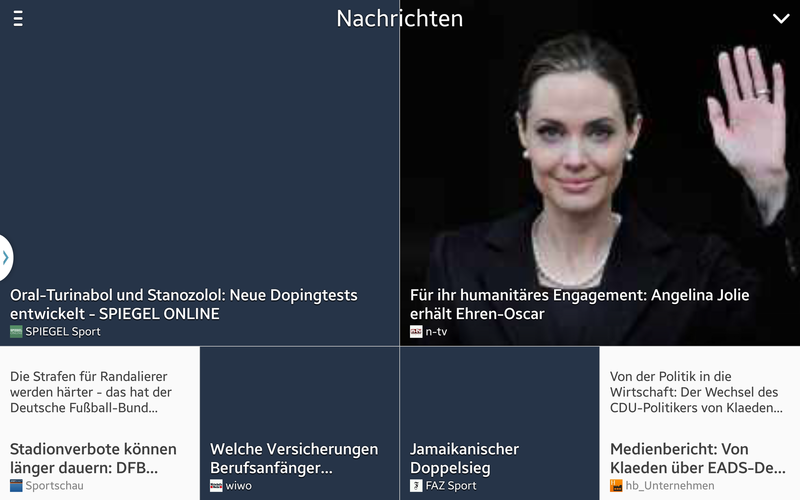 Many tablets and smartphones can do better. Currently, a contrast ratio above 1,000:1 is not rare. As such, the Note 10.1 loses some points in outdoor use, in direct sunlight. Sadly, we could not test this properly due to current weather conditions. 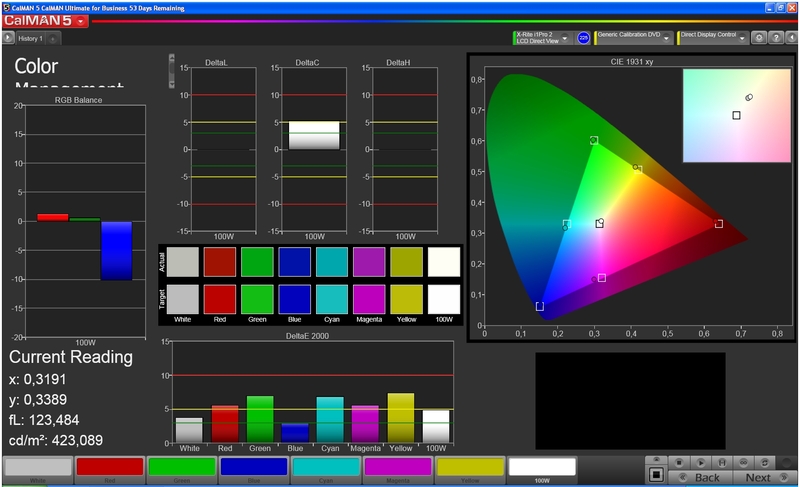 As typical for Samsung devices, the system settings offer a multitude of display modes and each has its drawbacks. The true color "dynamic" mode offers a weak red and the "video" mode represents blue tones too dark. The best Delta-E-2000 values (on average) were reached using the "AdobeRGB video" mode: 3.91 points. In comparison to the display of the Google Nexus 5, the panel of our test model is a little bit worse. Although, in "video" mode, the sRGB balance is almost identical to the "expected" values, the gray levels are acceptable and much better than in the "dynamic" mode. The glossy display diminishes our overall good impression slightly. However, the result is still fine as the brightness is high enough to keep the panel legible, especially at this time of the year. However, we do not know how the panel will be in the summer and can only make assumptions based on the values we measured. 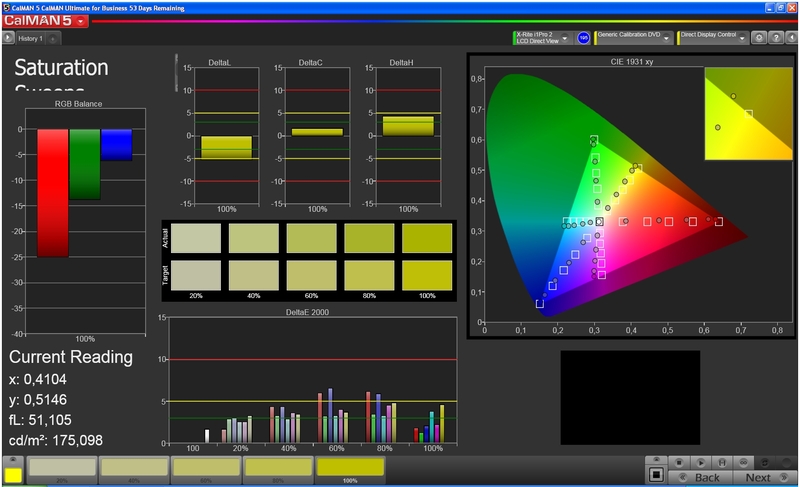 However, we believe that the contrast will negatively affect the overall result. As is typical of the Samsung displays, the viewing angle stability is great. The colors remain stable regardless of the viewing angle and we did not note any great loss in brightness. 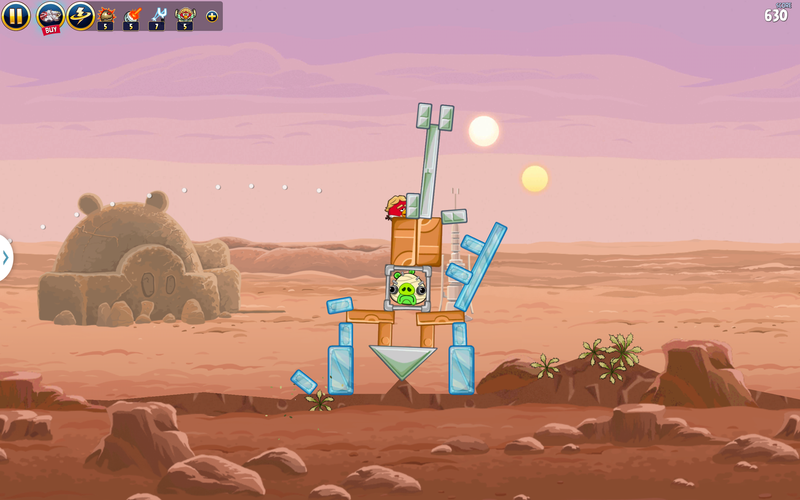 ... the viewing angles are stable. 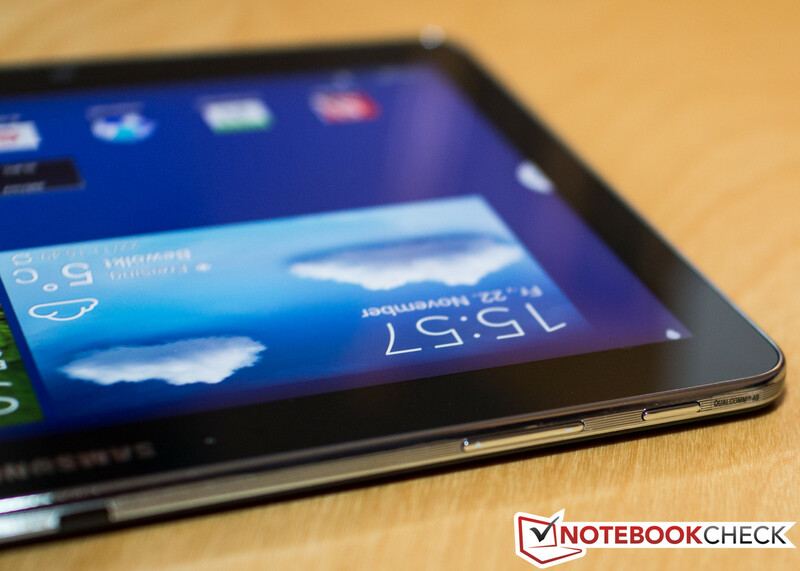 It was only a question of time before the Qualcomm Snapdragon 800 found its way into the tablet segment. The new Kindle Fire HDX from Amazon operates on this quad-core monster and now the top model of the Samsung Note series uses it. The core clock speed of 2.26 GHz and 3 GB of RAM, offer good foundations for our test model, and do not limit its multimedia capability. The Adreno 330 allows the tablet to play QFHD videos (Ultra High Definition) and is clocked at 450 MHz. Careful observation reveals small micro stutters when switching between the screens. This can be annoying given the high performance hardware of the device, but we believe it is caused by the high resolution of the tablet. Despite the impressive hardware of the Galaxy Note 10.1, we require the test model to prove its worth in a series of benchmarks. As usual, we start with the synthetic benchmarks and the result is clear: the only tablet, which can compete with the Note 10.1, is the Kindle Fire HDX. Other models, like the new Nexus 7, have no chance against the Snapdragon 800. The reason why the Nexus 7 and the Galaxy Tab 3 8.0 score higher frames per second in "Epic Citadel" is the resolution of the Note 10.1 (which is above Full HD). 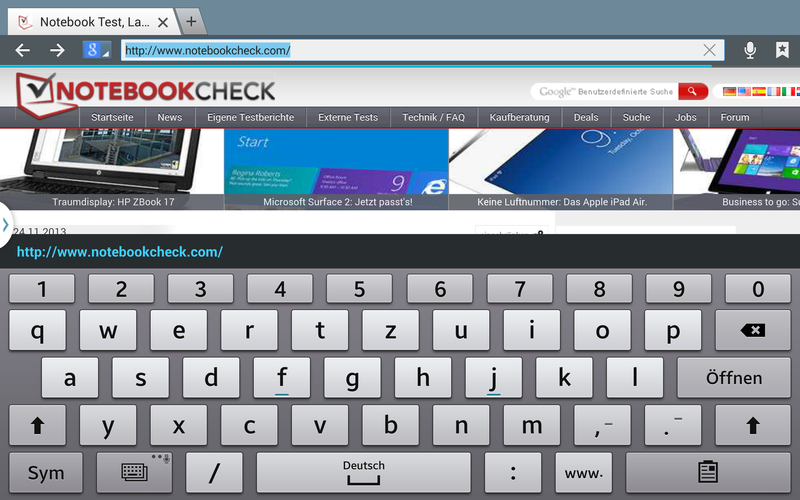 The browser-based benchmarks are a little harder for our test model. The Apple and Amazon competitors make it hard to take the throne. The iPad Air offers very good performance and beats the Note 10.1 in certain areas by up to 104%. The Kindle Fire HDX is also constantly a little bit better than our test model. The final benchmark is "AndroBench 3" which tests the flash storage of our test model. The four test sections of the test are evenly divided between the Kindle Fire HDX and our test model: each tablet scores number one in two sections. The Note is very well represented in the smartphone category. 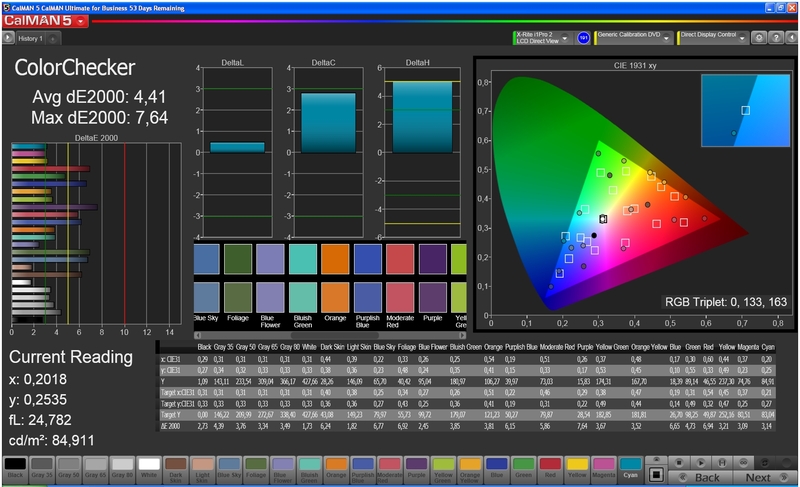 The benchmarks show that the high load on the SoC is due to the extreme display resolution. 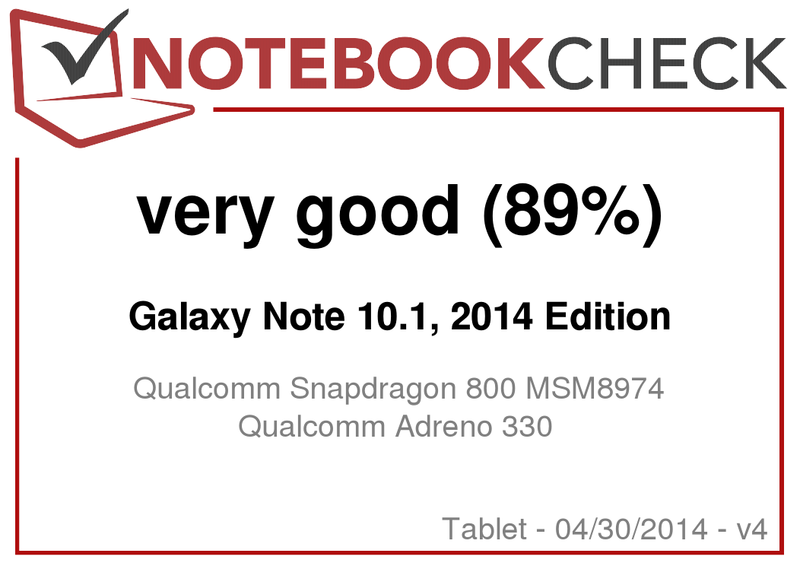 Despite this, the Snapdragon 800 performs well in all tested games. Whether it is "Modern Combat 4", "Need for Speed: Hot Pursuit" or any other modern 3D game, the performance is more than enough to overcome the hurdle. The SoC can play QFHD videos according to the manufacturer - as proven in the Samsung Galaxy Note 3, the Sony Xperia Z Ultra and the LG G2. In fact, only the resolution can prevent it from accomplishing this task flawlessly. Thankfully, despite running a variety of Ultra High Definition trailers, we did not note any performance drops (stutters or artifacts). The 10.1-inch display is fun to watch movies on and the strong performance ensures that we do not have to cut any points in this section. ... as the performance is more than enough. The Galaxy Note 10.1 once again bests the Google Nexus 10: at full load, our test model heats up to 31.7 °C (front) and 31.2 °C (back) (89.06 and 88.16 °F respectively). The Google model (32.5 – 32.7 °C) (90.5 –90.86 °F) is not off by much, but it does run hotter. 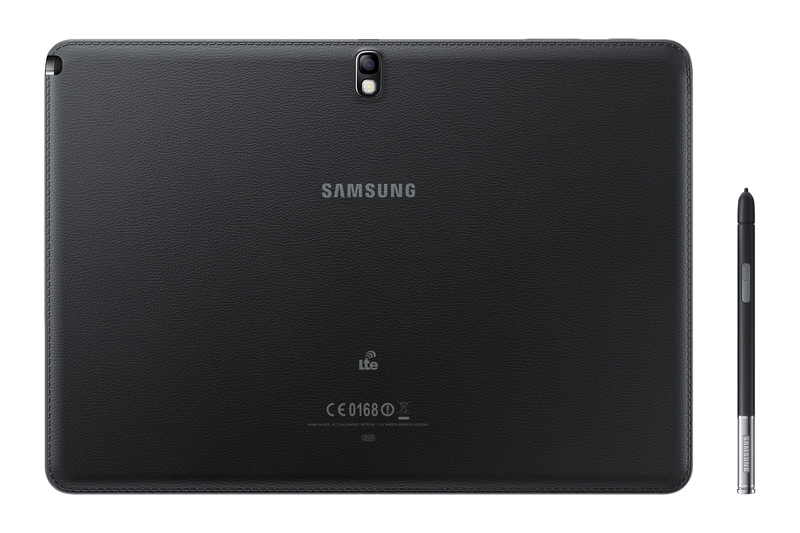 If the tablet is not pushed to its limits, the temperatures drop below the 30 °C mark (86 °F) and the Note 10.1 stays in the range of 29.7 °C and 29.9 °C (85.46 and 85.82 °F). The modular power adapter heats up to 45.5 °C (113.9 °F), which may not be cool, but is not unreasonably hot either. The temperatures drop by about 20 °C (68 °F) if the tablet is idle. Both speakers (right and left side) offer good output and they are not covered when the tablet is placed on a flat surface. The max volume is more than sufficient and it could even be a little lower. Once the speakers reach about 80% of their max volume, the sound output becomes brassy and the high tones rise uncomfortably. Thanks to the 3.5 mm audio jack or the Bluetooth module, the user can quickly connect external playback devices. A large tablet means a lot of power consumption, right? At full load, the test model requires between 7.9 - 10.7 W. In comparison to the Microsoft Surface 2, our test model is much more conservative (up to 15.8 W). At max load, the Nexus 10 consumes 9.2 - 9.4 W. We notice a big difference while idle: the Google tablet requires 3.7 - 9 W whereas our test model can survive on 1.7 - 6.5 W. Both tablets are bested by the Microsoft Surface 2, which consumes 1.8 - 4.1 W while idle. We could not measure the power consumption while the tablet was off. However, in standby it requires a constant 0.2 W.
The capacity of the battery is 8,220 mAh, which means the user can expect quite a lot out of the tablet. Thanks to our uniform testing of all devices, we can compare our test model very well with the competitors. Using the App "Stability test", we simulated a long stress period (full load). After 4 hours and 39 minutes, the tablet shut down and required recharging. For this test, the display was always on and all wireless modules were turned on. 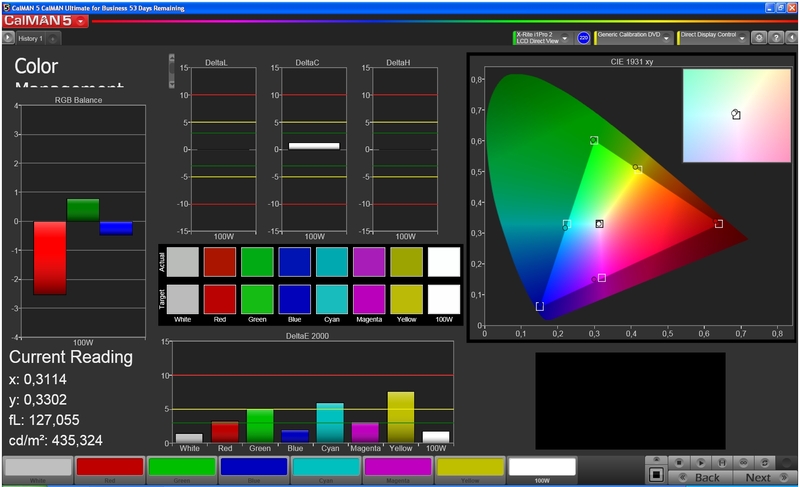 When we set the brightness to 150 cd/m² and loaded a webpage loading script, the tablet lasted 18 hours and 25 minutes. 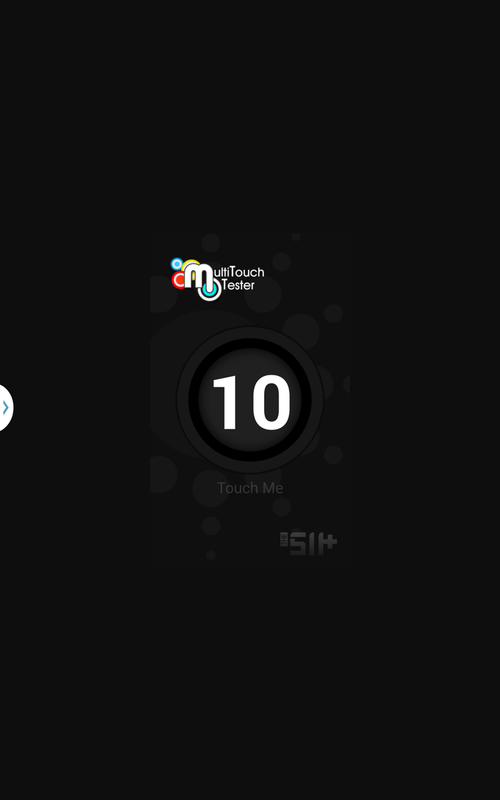 The Google Nexus 10 can offer a similar run time, whereas the Microsoft Surface 2 is hopelessly beaten. The maximum run time of the Note 10.1, with the display on, is 24 hours and 18 minutes. 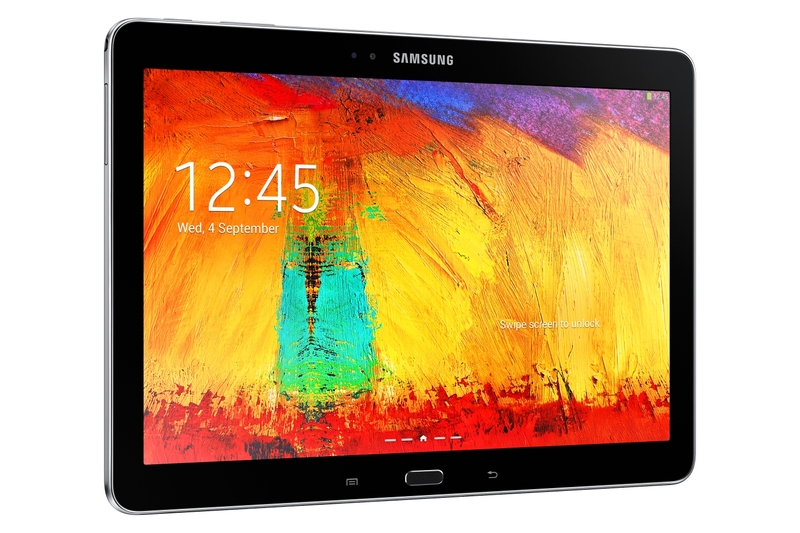 A top class tablet for a fat wallet. We can expect Samsung to bring out an update for their model every year like clockwork. 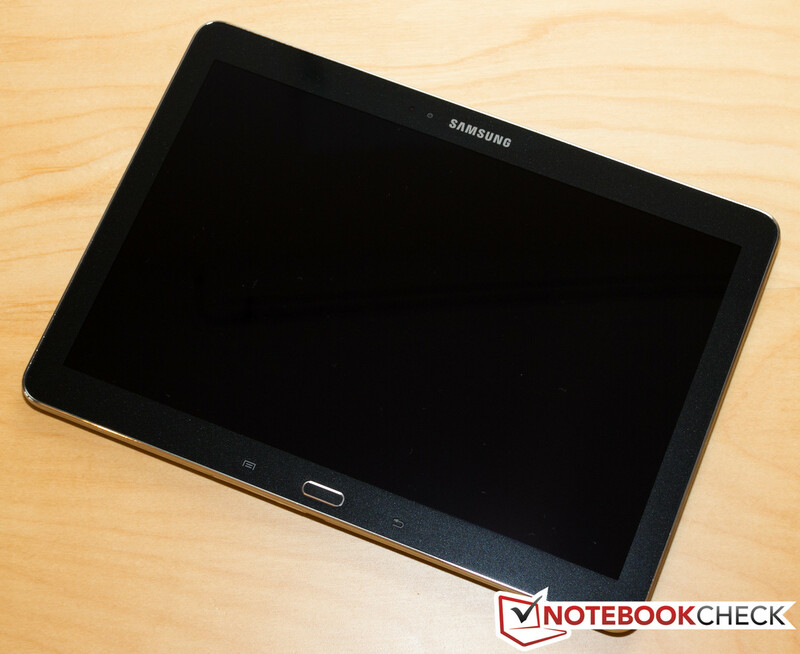 As such, we were not surprised to see an update of the 10-inch tablet from the Galaxy Note series. We were happy to see the impressive resolution of 2560x1600 pixels and the Snapdragon 800 from Qualcomm, which are two of the most essential features a top line tablet must have. 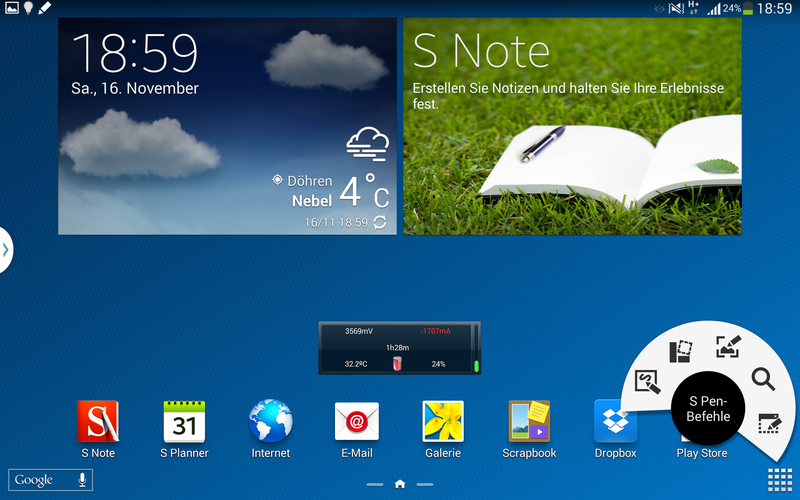 Unfortunately, Germany will not be retailing a configuration of this tablet running on the Octa-core, named Exynos 5420. 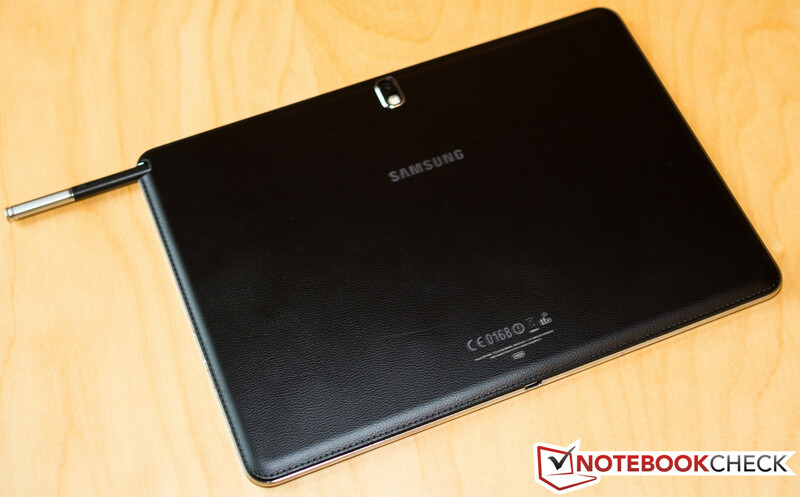 The 2014 version of the Galaxy Note 10.1 shows no gaping weak spots and is equipped with a multitude of features. The "smaller brother", the Galaxy Note 3, offers a USB 3.0 port and a better camera module. 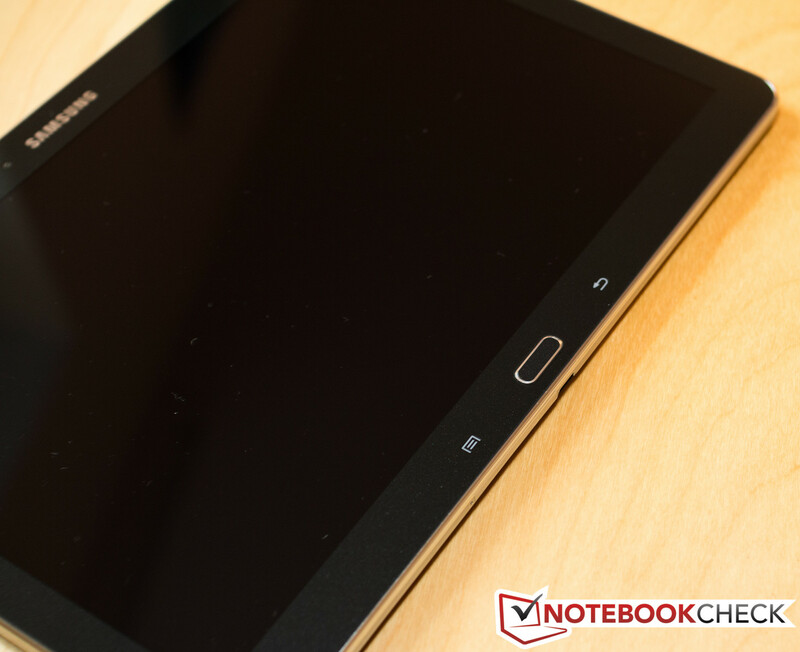 If Samsung had added these features, then we could have called the tablet nigh perfect. Battery life is amazing at 18 hours. We are hard put to find flaws in the device (from the hardware or software sides) and can only put forth minor complaints. For example, the tablet should have had a lower black value. 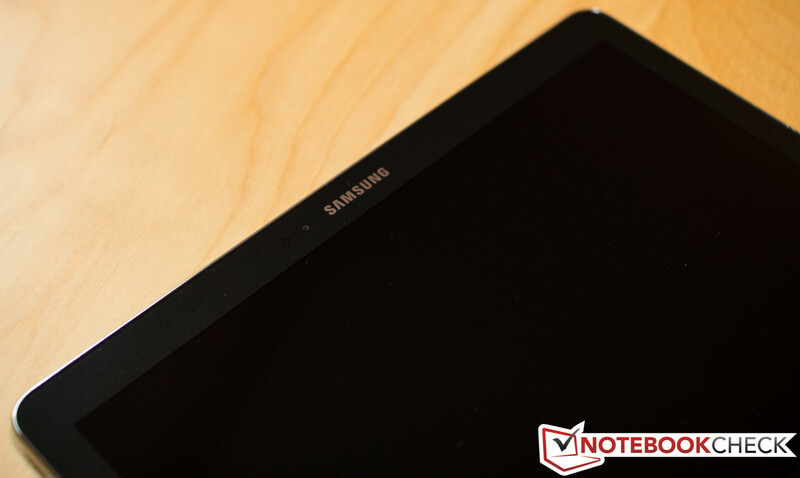 Still, the Galaxy Note 10.1 2014 Edition takes 1st place in our Top 10 ranking for the tablet segment. The retail price of 670 Euros (~$921) for the LTE version is not cheap, but perhaps worth it to the buyer looking for everything a top-end tablet has to offer. Still, we recommend taking a look at the competition: the iPad Air (16 GB + UMTS) is available for 599 Euros (~$823). ... seems a lot like its predecessor. The hardware has been improved significantly. ... and supports up to 10 fingers. Portrait mode offers a lot of space. Horizontally, it gets a bit narrow. ... as it belongs to the Note series. ... from which it can be retrieved. It is truly an amazing way to interface with the tablet. ... but it can not be removed. The Micro SD card slot is on the side. 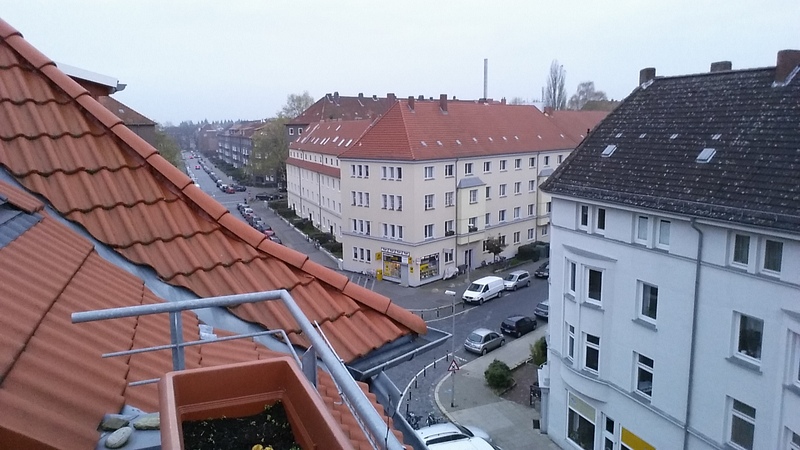 ... but the viewing angle stability is great. ... but this time of year, it has a much easier time. ... as in the Galaxy Note 3. Android 4.3 is also preinstalled. Our test model has 16 GB storage. The battery has a large capacity of 8,000 mAh. 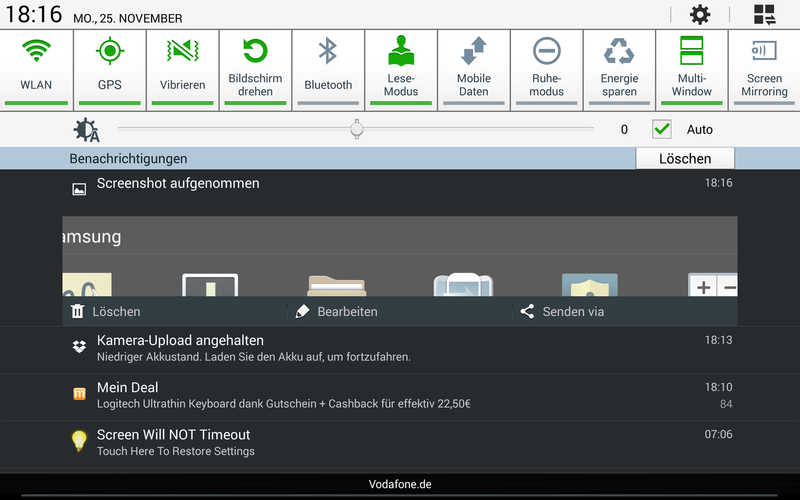 The system settings offers options to customize the S-Pen. 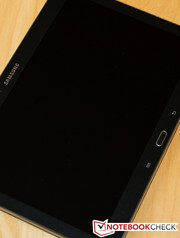 ... Samsung has used it for multiple devices. The design has been polished a little. ... is anything but cheap. The overall package contains multiple communications modules and has a good assortment of ports. Performance is strong and the battery lasts quite long. 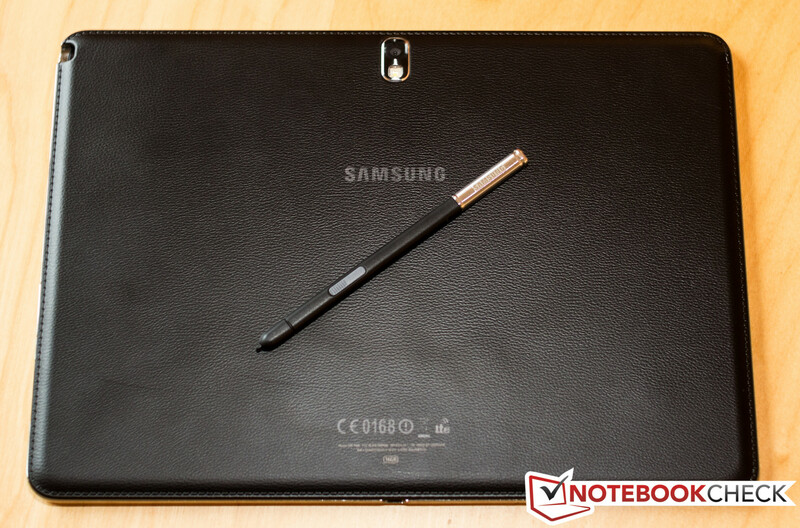 The Galaxy Note 10.1 2014 Edition leaves no room for complaint. Although we have gotten used to the classic Galaxy design, it would be nice to see a change. The display resolution is huge and despite this the performance is sufficient to run all games and FHD material fluidly.